I am excited today to share with you a little bit about one of this month's sponsors, Lettergirl. Gina makes lovely hand-lettered stamps to be used in a variety of ways from bookplates to return addresses on envelopes to custom invitations and stationery. I live in Minneapolis with my husband, Peter and our two kids, Juilet is 11 and Forest is 8. We live in a 105-year old Victorian fixer-upper near the Mississippi River. I love making things–and like many crafty people, that goes back to when I was a child. I have always loved reading and sewing and cooking and trying new things. How did you get started with Lettergirl? I have been a designer for 17 years through my business, Dreamland. I started by designing our wedding invitation (18 years ago this week!). A friend came to our wedding and asked me to design their invitation. A friend of hers then asked me to design for her…Within a few years I was designing close to 100 invitation suites in a year — all hand-lettered and hand-painted. Dreamland evolved through the years to include birth announcements, holiday cards, everyday stationery, and for the last year, my online shop, lettergirl. How do you balance it all? When do you fit in your creative time? One of my most favorite things about self-employment is the flexibility I have during the day. I can help at my kids' schools, buy groceries when the store isn't so hectic, or go for a bike ride if I need to get outside. I have to balance that with a few late nights or early mornings, but I am so grateful to even have that option. I have the most energy in the morning, and am still trying to figure out how to work in more personal creative time then. In the meantime, I love keeping an Idea Journal, where I jot down all the things I want to make "someday". Other artists absolutely inspire me. I have been obsessed with Alabama Chanin since a trip to NY in spring 2008, and have made almost a dozen clothing items entirely by hand thanks to her. I love quilts by Cher Cartwright and cookbooks by Ina Garten With limited time (two kids! old house! business to run! volunteer projects! older parents!) I am learning to let others do what they do best…instead of making that little pouch I needed, I bought on etsy from mintworkshop. I have lots of things on my favorites list right now! And today, Gina was kind enough to offer one her custom family name stamps to one lucky MommyCoddle reader. Simply leave a comment in this post to be entered in the giveaway. And I will announce the winner on Friday! Good luck! And thank you, Gina! This would be great to have, and save me from printing labels, which would fit in great with my attempt at living more frugally. I have been wanting a stamp from her shop! I love that lettering! If only my handwriting was so lovely **sigh** Thanks for the contest! These are so cute! I’d love a custom stamp! Adorable! I love it. Am writing letters to friends and family far away pretty much all the time. One of these would be wonderful! Beautiful! Love learning about new etsy shops. That is the most beautiful handwriting I have ever seen – makes me want to practice mine. Have been a fan of Lettergirl for awhile now. Crossing my fingers! Very cute stamps, I’d love one for our family! I love hearing about how women can make their art and homelife work together! Inspiring interview. Oooo, I was admiring her shop the other day. I would love to own one of her stamps. beautiful work, always admire those with such talent! These stamps are beautiful. Please, please pick me! Awesome! I’ve added Gina to my feed reader! love gina and her work. i have been using her since my wedding 9 years ago! she is the best! I found you through Gina’s blog. I love her stuff. Thanks so much for the giveaway! Congrats on baby #4, how great! Love this! Thanks for introducing lettergirl and for the giveaway! Thanks for sharing the interview, her stamps are gorgeous. wow, how beautiful. would love one of her stamps! No matter how hard I try I have never been able to have the handwriting that I covet. So envious. Two of my roommates in university had that fabulous, to die for script that I so desperately wanted. Would love to win this stamp! Love the stamps. What a great idea! Thank you for the opportunity. Thanks for sharing – I am definitely checking out the etsy shop! So pretty! I love to read about how people find a balance between all their responsibilities. I love browsing her shop!!! Thanks for the chance!! PICK ME!!! What a lovely give-away; I hope I win! Nice! Enjoyed the interview too. This is so awesome. How sweet it would be to add a stamp to a letter to a friend. Thank you. I love the stamp idea. To add to personal, old fashioned letters to friends. Thank you. Thanks for introducing us to Gina! I’d love to win the giveaway! It’s always nice to hear about folks supporting themselves on creativity. Love the stamps. Wonderful– I love her work– and the idea of supporting others with different gifts than we have. Oh, those are adorable! Thanks for introducing us to such a great artist. ooh those are nice stamps. i am now thinking about how i can use one in holiday cards this year. crossing my fingers! and checking out the shop! oooh, love her stamps and bookplates. I wish I had as nice handwriting. Crossing fingers and toes! I love the thought of keeping an Idea Journal. There are so many ideas rumbling around in my head that would be nice to get to paper! Ooh pick me! I love handwritten notes but it cramps my hand so a stamp would be perfect! What a great time/hand saver! Lovely interview & the stamps are wonderful! How sweet 🙂 I love personalized things like this, they are so fun. crossing my fingers. could I be so lucky as to win? I heart Lettergirl. One of her hand-lettered stamps has been on my wish list for a while. This would be so super cool! I’ve been checkin out her stuff! Fun! thanks! 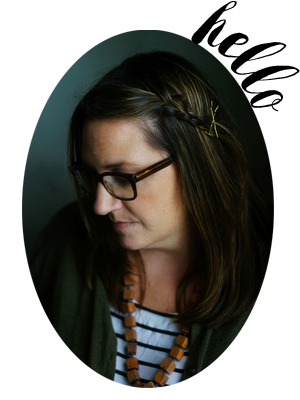 I was sent over by Kim at Prairie Mama to check out your great blog design, and I love that I stumbled on lettergirl, too! WOW!! Gorgeous! I’ve always wanted to be able to write like that! These are so special! Fun giveaway! Eeeek! I’ve been searching out and trying to make my final decision of what stamp ‘d like to buy before the holidays…and I found it at lettergirl a couple days back! What I wouldn’t give to win! I’m so inspired by those that have the persistence to do an at home business.The stuff is lovely. And congrats to Molly on this new baby stuff! I love this, and the story of how she got started is priceless! Beautiful stuff lettergirl! that was a wonderful interview! I enjoyed all your linkies! I would love a chance at winning one of those stamps, her lettering is just so beautiful! So nice to read about how someone approaches their work,family and home balance. Beautiful work and great shop! oooh, i love lettergirl’s stuff! Very cute! I’m hoping the handwritten letter makes a comeback. With items like these – how could one resist? Lovely! How fun!!! I would love a new stamp. great stamps with simple beauty. I hope I win!!! !Thank you for sharing about yourself. Love Gina’s blog!! Love that she has a passion for her handwriting!! Such a talent!! I’ll throw my lot in, my 2 year old would LOVE to stamp our names EVERYWHERE! Thank you for sharing this – beautiful stamps! I would love to win one of these. Love the Dreamland blog and Gina’s work. I just love these stamps! Please count me in. It would be so exciting to win this! These are so cute. I love custom stamps! Thanks! i just adore lettergirl!So talented! they are lovely stamps– would love to know more about the creating process.. Thanks for the introduction. Her stamps are beautiful! Beautiful stamps. Thank you for sharing this! I hope it is not too late to leave a comment for a chance to win! I love the stamps–they are stunning. Thanks for highlighting this wonderful artist.